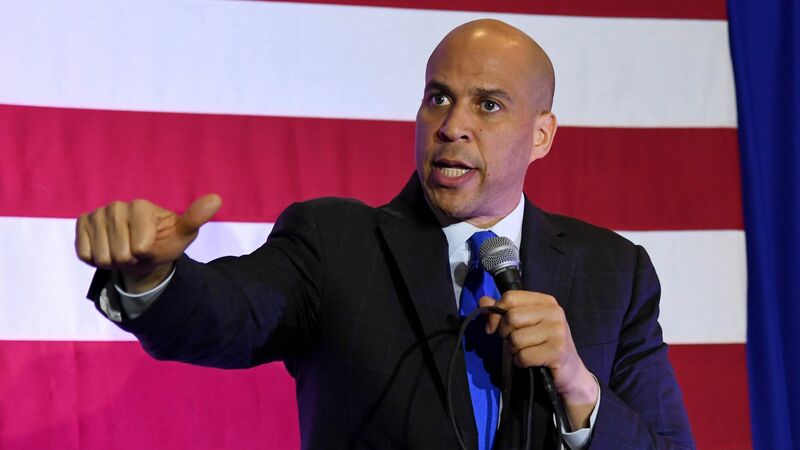 President Trump is “complicit” in the increase of white supremacist violence, Democratic presidential hopeful Sen. Cory Booker (D-N.J.) told a CNN town hall in Orangeburg, South Carolina Wednesday. What he's saying: "For him to fail even to condemn Nazis or even to talk about white supremacy as a problem in this country, to me," he said of Trump. "That is being complicit in the violence that is happening, and I find that unacceptable and repugnant." The big picture: Booker said at the event moderated by CNN's Don Lemon Trump cut funding from the Justice Department to investigate domestic terrorist groups, "these white supremacist groups," and that was making us less safe. Considering mass pardons for marijuana offenses. Focusing on reducing prescription drug prices in his first year as president. Not taking donations for his campaign from federal lobbyists, pharmaceutical industry executives or corporate political action committees. Waiting for more on the Mueller report before commenting on whether or not Trump should be impeached. On reparations: Booker said the conversation should be more than "just a box to check." "So do I support legislation that is race conscious about balancing the economic scales? Not only do I support it, but I have legislation that actually does it," he said, referring to his bill to create baby bonds.